A few days after the very first #BelgianGameAwards, FLEGA talked to Flemish financial news channel, Kanaal Z. Both Larian Studios and Happy Volcano are praised as Best PC and Best Mobile Award winners at the #BelgianGameAwards. Larian scoring a big and critically acclaimed international hit with Divinity Original Sin, Happy Volcano bringing literature to the masses with their game Winter. The #BelgianGamesIndustry is steadily progressing but it still needs some impactful economic and fiscal incentives. FLEGA and its partners in Wallonia and Brussels are demanding the federal Belgian government to extend the existing audio visual tax shelter to videogames. FLEGA and its partners expect this incentive to significantly boost our local industry by reducing the risk for private investors to fund our local game development. In other European countries like Finland and the UK different forms of tax shelter already proved to be very successful. 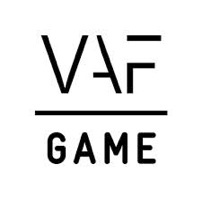 Finally FLEGA explains why gaming is much more than brainless entertainment and how virtual reality could be a game changer in the years to come. Check out the complete interview (in Dutch) over at the Kanaal Z website.